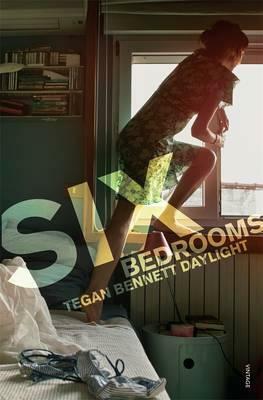 The stories in Tegan Bennett Daylight’s Six Bedrooms, her fourth book, are mostly focused on the highs and lows of teendom, and the awkwardness from this that never really leaves us. The setups are on a small scale – a young woman moves to London with her more glamorous sister, a teenage girl lures a boy away from a boring party and gets him drunk – but there’s a tension in each story, it always feels like there’s so much at stake. Throughout this remarkable collection we also get the same narrator, Tasha, in a handful of the stories, and this, as well, helps bind the book together. It also helps that Tegan Bennett Daylight is an incredibly gifted writer, especially on a line level. ‘Fern’s mother died on a cruise. A ferry cruise, a movable party, the sort that patrols the harbour on weekends,’ begins one story. ‘I hated Judy’s first boyfriend, as expected. He was shaped like a sweet potato,’ starts another. The prose here is honed down and sharp. Bennett Daylight hasn’t wasted a word. Another skill is her tracking of the shifts between characters, the sudden realisations which never feel forced or convenient for the sake of narrative. Each of the stories turns in a way that feels both inevitable and completely unpredictable. For a book that focuses on stark realism, it’s a tiny bit exhilarating that sometimes these shifts are sparked by characters having dreams, or jumping ahead into the future. It all comes together as one of the best books of the year. This is an incredibly well written and thoughtful, sad and funny work, and the kind of book you want to press onto people and encourage them to read. Highly recommended.